SIZZIX-Texture Fades Embossing Folders by Tim Holtz Alterations. 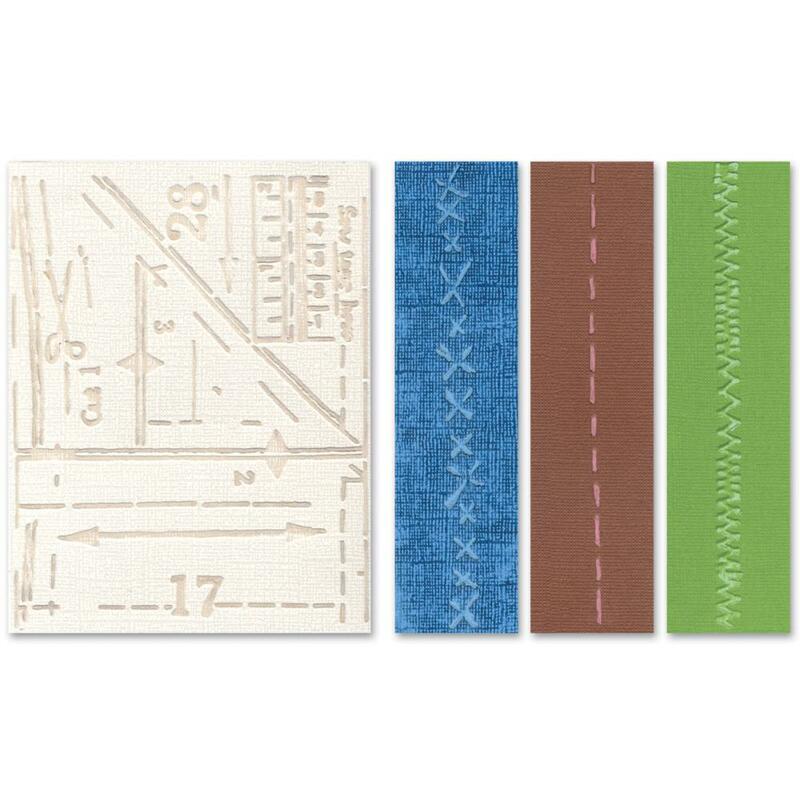 These folders will add a deep, bold emboss to cardstock in just seconds! Folders are compatible with Sizzix BIG kick, Big Shot, Vagabond and Texture Boutique machines (not included). 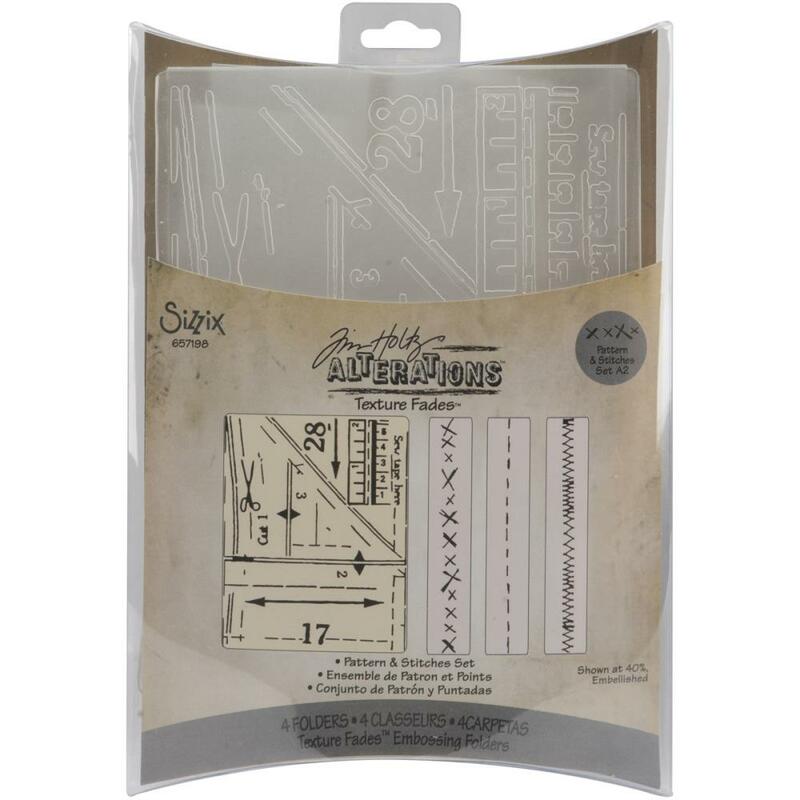 This package contains four folders: 1-1/2x5-3/4 to 4-1/2x5-3/4 inch. Large folders will also fit A2 Cards. Design: Pattern and Stitches. Designer: Tim Holtz.